Evangelist Dr. Kolleh Kelly Samura is the Visionary, Founder, and General Overseer of The Light of Christ International Fellowship Ministries currently operating in both the USA and Sierra Leone. 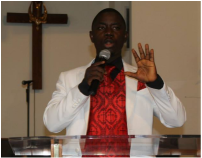 He has been the presiding Senior Pastor of the USA branch located in New Jersey USA since 2009. Dr. Samura faithfully served the Lord under the supervision of other Men of God in a different ministry; he did this for a long period of time before his transition into a full-time minister of the Gospel of our Lord and Savior Jesus Christ. His passion is to spread the Good News of the Gospel to everyone and every place where the Gospel is needed, and has consistently demonstrated his willingness to accomplish this passion by all means. In addition to spreading the Gospel, he is engaged in other ministries that are in compliance with the word of God. Evangelist Dr. Kolleh Samura founded several charitable ministries and missions such as The Master's Touch, Operation Christmas Blessing, and the annual International Pastor's Appreciation Day (IPAD); all of these ministries were designed to promote God's Kingdom and strengthen our faith in our Creator. The primary engagements of these missions include the feeding, clothing, and the providing of transitional accommodation for the poor and needy; while encouraging current Pastor and other men of God to continue in the Lord. (Matthew 28:18-20; 25:34-40). Click here to view the various missions. Evangelist Dr. Kolleh Samura is faithfully involved in preaching the Gospel and helping the poor (disabled and orphans) in Sierra Leone, an undertaking of which he has been involved in for over five years. His congregation is blessed to have a Pastor that possesses the qualities of humility, love for God, love for People, respect, reliability, patient, faithfulness, kindness, and compassion; a testament that is attributed to him by the members of the Church whenever they describes his persona. 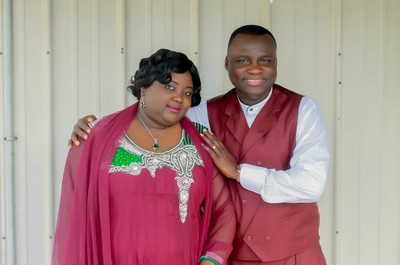 Evangelist Dr. Kolleh Kelly Samura earned his Doctor of Divinity Degree in 2015 from the International Christian University in Pennsylvania USA. He is blessed with a wonderful wife Mrs. Saffie Kumba Samura and a handsome son, Emmanuel Kolleh Samura. To God be the glory. The clips below are some of the Senior Pastor's past sermon clip & a music video... Enjoy! He is marry to his beautiful wife, The First Lady, Mrs. Kumba Saffie Samura, a pillar and helpmate to the General Overseer of T.L.O.C.I. Sister Kumba, as know to the members of T.L.O.C.I is a Registered Nurse (RN) in the State of New Jersey and the leader of one of the most vibrant praise and worship team around; known as the Tabernacle Of Praise team or (TOP) team. 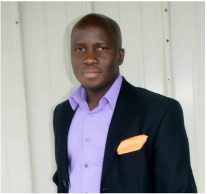 Assistant to Dr. Kolleh Samura, is Assistant Pastor Dr. GoodMarc Abu Fahbundeh, considered by most as a God sent assistant to assist in the day to day activities of this fast growing church. Dr. GoodMarc Fahbundeh has been side by side with the General Overseer of the T.L.O.C.I since the very beginning, his loyalty, obedience, and humility has been instrumental in maintaining harmony in the house of God. Pastor Abu, as known by the congregation is married to Pastor Ann Marie Fahbundeh who is the head of the Intercessory Group of T.L.O.C.I. Both Dr. GoodMarc and his wife heads the Marriage Covenant Ministry (M.C.M) of T.L.O.C.I. 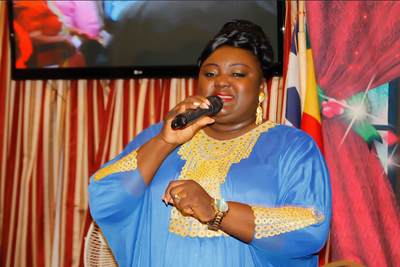 Pastor Tenneh Cole is one of the Assistant Pastors of T.L.O.C.I and a faithful member of the Tabernacle of Praise Team of T.L.O.C.I, also known as the T.O.P team. She is also a founding member with humble and meek personalities. Pastor Philip, as known by most; is the Youth Pastor of The Light of Christ (T.L.O.C.I) USA branch, he is an energizer and anchor to the youths in diverse ways. His organizing skills and selfless personality makes him more approachable by the youths of T.L.O.C.I USA. Pastor Philip is married to his lovely wife Mrs. Christiana Conteh. Pastor Jeremiah is the Children's Ministry Pastor of T.L.O.C.I USA branch, a calling that sheds light on his ability to demonstrate patience and courage in maintaining decorum and courtesy in the children's class. He is gifted in gaining the attention and compliance of these children. Pastor Jeremiah is Married to his beautiful and lovely wife, Sister Nyawa Elizabeth Mansaray.